We all need to belong. To be a part of something bigger than ourselves. Share your heritage with your children and grandchildren. 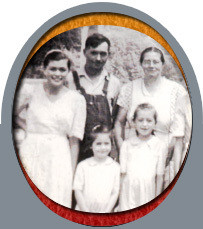 Your family history video can include photos with names and explanations and personal voice overs. As you tell the events and stories of your life, mixed with your photos, you will pass on a treasure that will never end. $3 per picture, includes up to four titles and music of your choice. Includes three VHS copies or one DVD (additional titles and/or voice over,extra).